Writing is one subject that puzzles many students. Life is full of puzzling activities! Whoops! – Accidents (or pretend accidents) are instant attention-grabbers with kids. Start a school day by walking to the front of the classroom with a set of puzzle pieces in a box or other container. Hold the box up so that everyone can see the picture on the cover. Announce that you have some puzzling activities in store for the class. Let the puzzle slip from your hands and fall to the floor. The pieces may stay inside the container or spill out. No matter. “Oh no!” you might reply at first. Take the subject of writing, for example. You know who they are in your class…the students who struggle with writing. Writing can be a struggle for some students. Turning the subject into a fun, puzzling activity catches kids’ attention and helps get pencils moving. Third grade teachers I met with recently were quick to point out how their students struggle with language mastery. “We need you to help with sentence writing before non-fiction full story writing,” they told me. “Some of our kids aren’t anywhere close to writing complete personal narratives.” they lamented. 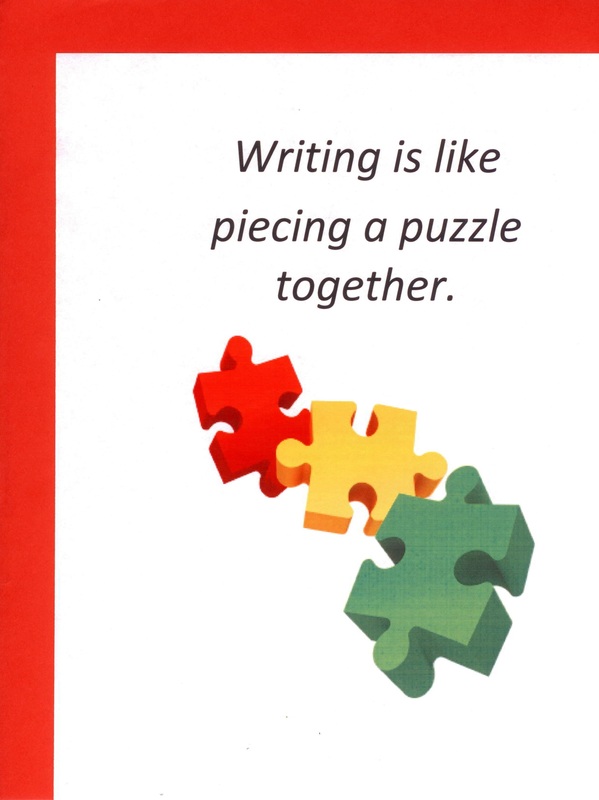 Writing is Like Putting Puzzles Together – I mentioned my “puzzle approach” to writing stories, and the teachers were enthusiastic about the concept. Why the puzzle approach works really isn’t puzzling at all. Kids love puzzles…pieces in a colorful box…pieces that have fallen on the floor when a teacher “accidentally” dropped them. Help Kids Visualize Finished Work – Puzzles form pictures. The puzzling activity of writing is like completing a puzzle picture. When a teacher describes writing as the process of penciling in one piece at a time to construct a whole picture – a story – a poem – a report – expository writing – any kind of writing – students get the picture! Kids can visualize a finished piece of writing when they picture it as a completed puzzle. Focus! – Explain that the FOCUS of a piece of writing is like the PHOTO on the cover of the puzzle box. If it’s colorful and attention-getting, it will attract readers/viewers/listeners. How else can you help students with the puzzling activity of writing? 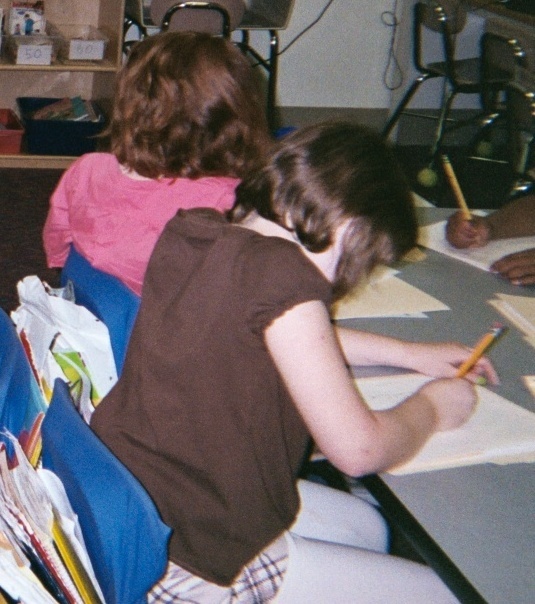 Set Down Strong Sentences – Encourage kids to set down strong sentences on paper. Explain that each sentence or phrase (poetry is formed in phrases, not sentences) in a piece of writing needs to be strong. Each sentence/phrase is an important part of the picture. Write with active verbs. Action brings word pictures to life. Paint pictures with words by writing with plenty of description. Include dialog or testimonials that are the “voices” of the subjects in the picture. Sentences become paragraphs. Groups of phrases become poetic stanzas. Remind students that it’s important to write “transition sentences/phrases” that link one paragraph/phrase group to another, like pieces of a puzzle need to fit together. Each paragraph or group of phrases is a big puzzle piece. Collectively they have to be organized in a logical sequence so that the picture the puzzle forms comes together and is clear! Use attention-getting graphics to help students piece writing together like puzzles. Build Students’ Confidence Putting Word Puzzles Together – When kids get the picture of how to write as if they were putting a puzzle together, it’s a happy moment when the puzzle is complete. Praise their efforts to help build their self-confidence. Confidence is key in effective communication. Help Struggling Writers – To help struggling students master core writing concepts, use colorful and eye-catching graphics, like one that features the word W-R-I-T-E.
Each letter is paired with a colorful picture to reinforce the message. 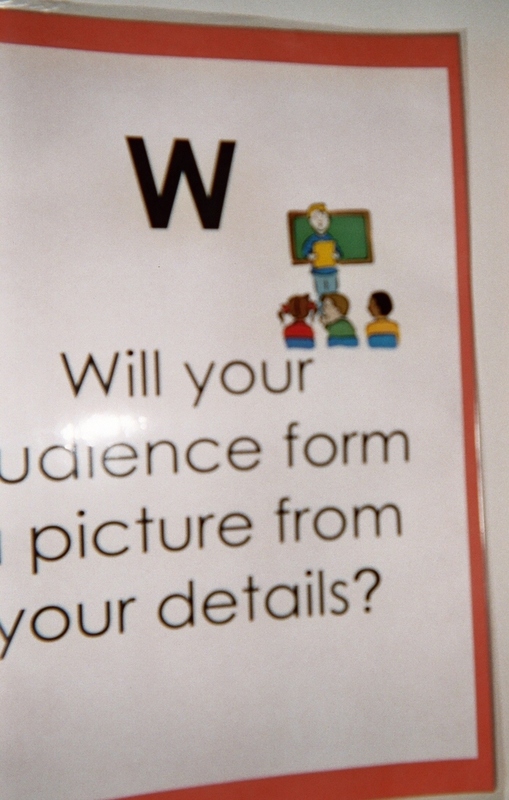 W – Will your audience form a picture from your details? Graphic: a presenter in front of the first row of an audience. R – Read the story to yourself. Read with the teacher. Graphic: a funny figure in pajamas and a sleep cap reading a book while sitting on a crescent moon. I – Is my story inviting? Is there a capital letter at the beginning of every sentence? Graphic: a capital letter highlighted in a sample sentence. T – THINK! Is there a clear beginning, middle and end? Graphic: a happy face with a lightbulb lit up on top. E – Each part includes * characters * setting * problem * solution (not all stories present problems to be solved, but this is one approach to help students write well). Graphic: a piece of paper with a big check mark on it. Collectively, the posters make an acrostic poem – another kind of word puzzle. Look for other resources online to help students become skilled and confident writers. Puzzles are visual. Visually based approaches to teaching are effective in helping elementary school students who struggle with language arts. Do you use puzzles to help students learn? Please send comments. ‹ Boost Good Conduct and Good Character!